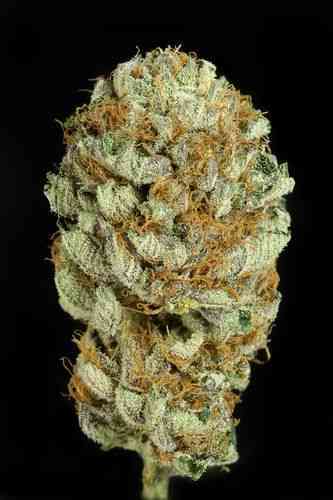 The Flowerbomb Kush marijuana seeds are the winner of the 2012 High Times Cannabis Cup with the â€¨Green House Coffeeshop. It is a very smelly, very tasty kush, with a very stoned effect. The Flowerbomb Kush grows stretchier than most kushes, with long branches that compete â€¨with the main cola. The leaves are thick, overlapping, and very dark green, with black hues. â€¨The plants can be fed medium EC levels, and perform well in hydroponics but in soil the flavour â€¨and taste are even sweeter and fruitier. The buds are irregular in shape, with extra-large calyxes forming towers and prone to foxtail. â€¨The buds get very compact, and extremely dense. The resin is extremely thick, â€¨and extends to most of the leaves once the flowering is reaching the end. The Flowerbomb Kush is not the heaviest producer, but it gives a unique quality. The first flavour is earthy, mossy, very much like an OG kush, but immediately after the explosion of fruits invades the palate. And it ends with a spicier side, almost edgy. The effect is very strong, complex, with a fast â€¨hitting body effect and a more creeper cerebral side. A truly complex, inspiring experience. â€¨â€¨A true Champion. very large plants can harvest over 1kg of dried, manicured buds. very kushy, earthy, orange, rose, with some warmer, spicier background. 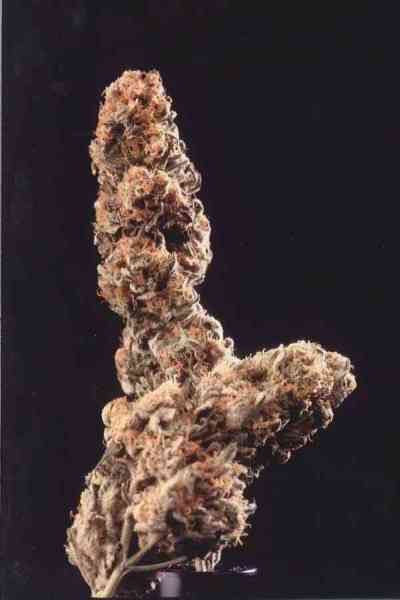 the dried buds are irregular, â€¨thick and compact, with extra-large calyxes. The resin is very thick.The crumbled bud is sticky, â€¨very dark green with even darker hues. extremely strong, very relaxing on the body at first, then more cerebral, social, giggly, creative. Very complex.